This thread is entirely for discussion about issues/problems/questions about using a memory card with the DDR series. If you are reading this thread for information about memory card features related to use with Arcade Machines, such as Edit Steps, Arcade Link, Paint Arrows, Custom Nonstop Order, Internet Ranking, etc. etc., read this thread in DDR Arcade Games first. Now then...DDR is officially available on seven platforms currently, but this thread primarily pertains to the PS1 and PS2 versions of the game. If you have a question about using a memory card with one of the other game versions, post it here, and it will be answered. Q: I'm trying to play an older PS1 game (eg. Konamix, 5th Mix JP) on my PS2, but when I turn the game on, all the songs I unlocked/records I saved are gone! Why? A: You must use a PS1-type memory card (the old 15-block variety), *NOT* a PS2-type memory card. All PS1 software requires the use of a PS1 memory card, regardless of whether or not you're playing it in a PS2. It *must* be in Slot 1, as most (if not all) PS1 DDR games will only use the first slot. Q: I read that I can trade songs between Konamix and DDRMAX/DDRMAX2! How do I do that? A: YOU CAN'T. Konamix, DDRMAX, DDRMAX2, and DDR Extreme support the use of user-created edit steps from one of the other versions. What this means is that you can make an edit for a song in Konamix (eg - Healing Vision), save it, and load it in DDRMAX. A: You need a PlayStation 2, both versions of DDR which have the song you want to use (see above example with Healing Vision in Konamix and DDRMAX), a PS1 memory card, *and* a PS2 memory card. To go from Konamix to DDRMAX/DDRMAX2, make your edit and save it. Remove the game from the drive and reboot your PS2. When the menu comes up, select Browser. Select your PS1 memory card, and find the file that corresponds to your edit. Select it, and Copy it to your PS2 memory card. Boot the PS2 game in question, go into Edit Mode, and select Outside Manager. From here, you can load the edit into your Edit Library, and then it's useable in-game. To go from DDRMAX/DDRMAX2 to Konamix, make your edit, save it in the Library, and then enter the Library Manager. Select your Edit, hit Triangle, and select Output. Follow the instructions here to save the edit as a single file. Remove the game from the drive and reboot your PS2. When the menu comes up, select Browser. Select your PS2 memory card, and find the file that corresponds to your edit. Select it, and Copy it to your PS1 memory card. Boot Konamix, and make sure Edit Use is turned on. Enter Game Mode, select Link Mode, and then Edit Data. You can use your edits here. To go from any PS2 DDR game to any other PS2 DDR game, make your edit, save it in the Library, and then enter the Library Manager. Select your Edit, hit Triangle, and select Outpot. Follow the instructions here to save the edit as a single file. Remove the game from the drive and boot the other DDR game you wish to use the edit in. Select Edit Mode, and select Outside Manager. From here you can load the edit into your Edit Library. Q: I had AAA's on every song and then I got a "Data Corrupted" message when I tried to load -insertPS2DDRgamehere-. What gives?! A: This can happen for a number of different reasons, but there are several things you can do to ensure it doesn't hit you, and if it does, it's not a big deal. 1. When you're ready to turn off the game or switch to a new game, go back to the main menu, and then wait 20-30 seconds before you power off the console, to ensure that all the data has written successfully to your memory card. 2. Turn off auto-save. It makes it a pain to keep your records saved, true, but it also ensures that you won't accidentally turn off your console while it's saving your scores. 3. Don't power off your PS2 from the switch in the back. The PS2 uses a *TINY* amount of power when it's in standby mode. You should never need to flip the switch in the back to turn off the PS2. If you actually *do* need to power it down completely (taking the console somewhere), do a soft-power-off by holding down the power button in the front first, and then power it off in the back. 4. Keep a backup copy of your save file! Get a second memory card, or if you have it, save a copy of the file to your PS2 HDD. 5. If you're *REALLY* paranoid, before you shut down your PS2, go into the Options menu and try to load your System File. If it loads successfully, you can then power off the console. If it's corrupted or incomplete, your current scores/settings/unlocks will still be in memory, and you can try to save again. 6. Use only first-party (Sony-brand) memory cards. Other PS2 memory cards are known to be less reliable, or require a hodgepodge to work (eg - Loading a driver disc before playing your game). Q: Is there a way for me to download a game save with all the unlocks for -insertgametitlehere-? A: If it's a PS1 game, yes - DDR Freak has unlocked game saves for almost all of the PS1 games out there. You'll need a DexDrive or a similar tool for interfacing PS1 memory cards to a PC. You can access these saves in our Songlists, Codes, and Saves section. If it's a PS2 game, possibly, but things are more complicated here. There are only two or three kits on the market for interfacing a PS2 memory card to a PC, and all of them have a large number of problems and in some cases are just plain not compatible with all PS2 models. Your best bet is to simply get a save from a friend, and erase his records so that you can start your own. If you still want to go that route, you'll want to know about the hardware. Previously, the only real hardware available for accessing PS2 memory cards is the Datel MAX Drive (also available with the Action Replay MAX EVO Edition). The MAX Drive is a USB drive that you can plug into your PS2 to move gamesaves to. The USB drive can then be inserted into your computer and accessed like a regular drive. The MAX Drive itself is not compatible with a Macintosh, but the PS2 software will work with almost any USB key, including those that are Mac-compatible. The SharkPort/X-Port can still be found on eBay, but it requires your PS2 to be connected via USB cable to your computer, so it's rather cumbersome to use. None of the PS2 solutions on the market currently support PS1 saves except for the EMS USB Adapter, but it's not foolproof. Q: I have a Mac. What can I do? A: See above. The MAX Drive won't work with a Mac, but it will work with Mac-compatible USB drives. I have specifically tested the Lexan Sport JumpDrive 128MB to work. I assume many others will work, but buyer beware. Q: What about edits? Someone posted an edit I want to download. A: Did they post a picture? If so, then you'll need to go into Edit Mode and punch in the steps yourself. Did they post a file? If so, then follow the directions listed above concerning hardware solutions. Since most people play the PS2 games more often than the PS1 games these days, your best way of transferring edits over the Internet is to upload an Edit Library containing the edit(s) you wish to share. Q: But...but...I have an Xbox. A: Ultramix has the ability to send edits to a memory card or load edits from one. Complete with a Datel ActionReplay Xbox or a Mega X-Key (both USB-based), you can load these on your computer and then transfer them to the Internet. Be aware, however, that you cannot modify the edit data directly, or Ultramix will refuse to load it. The System files for the Ultramix series, however, are locked to prevent copying. I don't know why that is, but you cannot transfer the saves to a memory card. Obviously, premium content is non-transferrable (since you then wouldn't have to pay for it if you could get it from a friend). Q: I want to import a Bemani game. Do I need a separate memory card to store my save data? A: No. PS1 and PS2 software is not region-locked to specific memory cards. You can have Japanese, US, and EU saves all on the same PS1 card, PS2 card, or HDD. Xbox storage devices (including the hard disk) are also region-agnostic. If you can think of a question that should be added to this FAQ, post it here, and I'll update. 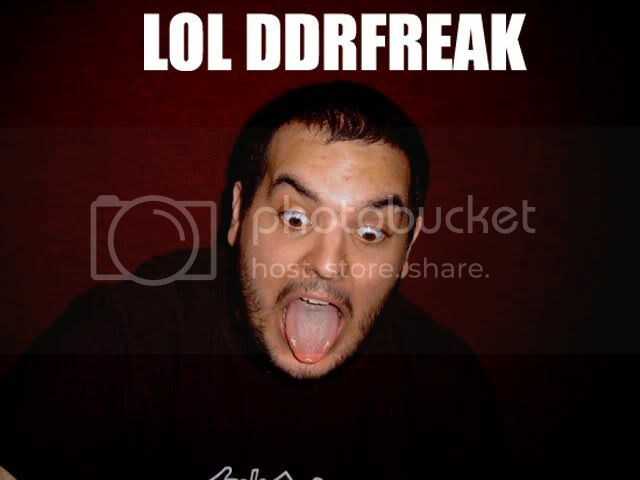 My memory card has had the DDR data bug happend to, but it only happend once. But since then, I've been able to prevent it by saving manually in the options menu 7-8 times after each session and then waiting at the main menu screen for about 8 seconds. Then, I turn off the ps2. BTW, to properly turn off the ps2, you just hold onto the reset button until it turns red, then it is technically "off." I don't recommend turning it on and off always from behind as it can't be safe for the power supply. Autosave is perfectly safe the second you reach the title screen. My files have been nuked only by people powering off from the switch in the back, and yanking out cards while saving. I'd still love a second card to back up my data on, but they're expensive. Uiru's Stepfiles - Uiru vs ITG - Bemani on Wii? Autosave is perfectly safe the second you reach the title screen. You'd think that, but the sheer number of people who've had corrupted data but swear that they waited until the title screen tells me that at least one of them may be telling the truth. Might I suggest adding (Data Corruption) in the title? A: If it's a PS1 game, yes - GameFAQs.com has unlocked game saves for almost all of the PS1 games out there. You'll need a DexDrive or a similar tool for interfacing PS1 memory cards to a PC. PS2 saves are in 5 formats, which should cover most of the different PS2 gamesave formats out there. A side note about corruption, on the PS2 memory card. Does anyone know how to deal with corrupted data that CANNOT be deleted, i apparently have this problem, and i have two of these corruptions on my memory card. Make sure that you turn off the ps2 properly by holding onto the reset button until the light turns red, then you just leave the switch in the back on. So, you select it, you hit Triangle, select Delete, and it says that the data cannot be deleted? I just looked on my MC today, noticed I had a block of corrupted data (probably from the DDRMAX System test), and so I tried to delete it. Worked fine for me. Ok, this might belong in the Arcade Machine memory card thread, but really thereÂ’s no arcade machine involved in this question, so IÂ’m putting it here. So I save the edits from the 5th mix Data Bank to my PS1 mem card, carry it over to my PS2, use the PS2 browser to copy the file to my PS2 mem card, pop in Max and try to import the edit into the Edit Library and it canÂ’t be found. Same with Max2. So I think, "hmm, maybe itÂ’s a PS1 vs PS2 file format issue." I pop in Konamix. It cant find the edit either. I think perhaps itÂ’s a console issue... so I put Konamix in the modÂ’d PS1 (which originally saved the file); still Konamix canÂ’t find it. I do indeed see the file in the PS browser, so it's there. So now I assume itÂ’s a matter of JP vs. US. file format. Does this mean I need get a DexDrive or the like, and transfer the file over to my PC, convert it, transfer it back, and then the US console mixes will be able to recognize the file and let me play the edit steps? If so, how do I do such a conversion process on the PC? Save the edits to the PS1 memory card. Boot the PS2 game, go into the edit library, use the 'outside manager'. That's all. Oops, you're talking about 5th Mix JP -> PS2 US. Erm... not sure if there's any implications about that. I'll let Cutriss field this instead :X.
Ooh...yeah, you'll need to convert the edits. I assume you could work backward from the instructions maintained here. I know it'll be tricky though, since I had to go through quite a lot of effort to do this with a friend for a tournament edit of AM-3P. ok..here is the deal..i have a machien that just got fixed that has mem. slots and i put it in and everything and it works ok and everything but when i came home to see what all it saved it did not save anything???!!! Is it supposed to? Also..how do i use edit data? hit the left arrow twice? Get 5th mix, or find someone with 5th mix. They must create 'New Version Link Data' if you're playing on a DDR machine past 5th mix. Save your edits to a PS1 memory card, put them in the machine, select the song (it'll have a memory card icon to the left side of it) and press right,right on the pad. It'll go into the edit menu. Press the menu select right button to select it and press start. u..never mind..i found my problem..i am using a USA card. Where can i get a JP one? Memory cards are universal. They have no region codes on them. Are you sure??? I have a Konamix Game at home and an Extreme Machine with the memory slots...is this the problem? You're trying to load edits created with a US game on a JP machine. (I'm trying to take edits from a JP game and play them on a US console mix). JBean - Consult my directions for Clubbinguy's edits problem to fix your edits issues. As for saving scores, please read the Memory Card FAQ linked in my sig. All the details are there. Thanks eveyrone soooooooo much for your help but i dont understand the hacking thing.